Something was happening in Austin and it was time the rest of the country took notice. Generation gaps and a controversial war had caused a divide in the United States where longhairs and rednecks lived an uncomfortable, Easy Rider-like existence in the South and the West. But as the ’60s faded into the ’70s, when the merits of the war became less certain and the lure of a good high and free love more appealing, the lines between counter-culture beatniks and good old boys began to blur — or so it seemed at least in, of all places, the capital of Texas. And the soundtrack for it all, if not the very catalyst, was the crazy cocktail of country and rock ’n’ roll pouring out of the local beer joints. The undisputed spokesman for this movement was a journeyman Nashville songwriter and middling recording artist who had traded in his turtlenecks and plaid for denim and leather, grown his hair long and set up shop back in his home state. 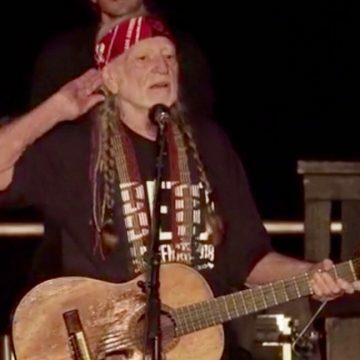 Willie Nelson became the national face of the progressive country music scene, but there was a reason he chose Austin as his base. 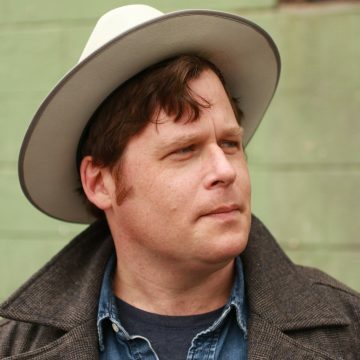 With its deep roots in honky-tonk and a very influential psychedelic rock scene, it was, as fellow native Texan Michael Murphey told Jan Reid — author of the era’s essential time capsule, The Improbable Rise of Redneck Rock — the place to “get back to his roots in a turned-on way.” For a brief period in the early ’70s that marriage of down-home sounds and progressive ideology ruled the airwaves and concert halls. 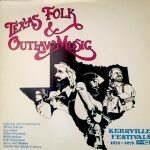 With a plethora of diverse and open-minded musicians schooled in hard country and harder rock, a burgeoning folk festival to the west in Kerrville, and host of happening venues like the Armadillo World Headquarters and the Soap Creek Saloon, the world turned its eye towards Austin as the center of this Cosmic Cowboy universe. 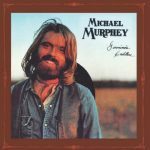 Murphey would provide the term “Cosmic Cowboy” via the title of his second A&M solo LP, but first he would give the movement what is arguably its most defining set of songs on his 1972 debut, Geronimo’s Cadillac. 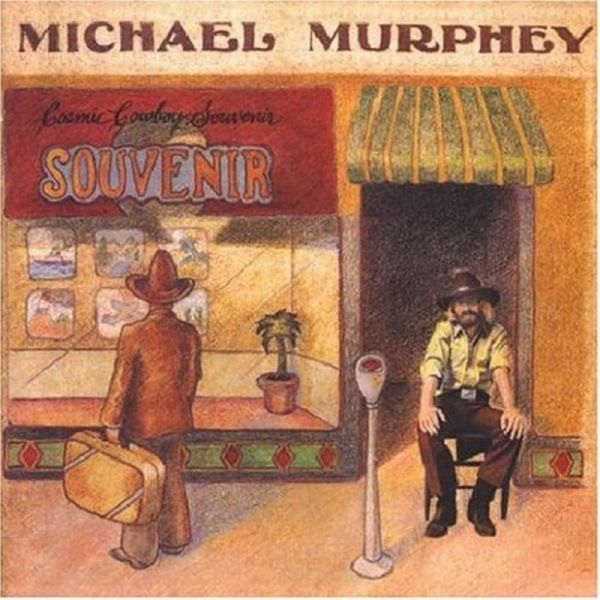 Coming from California, where he’d seen a measure of industry-sponsored success far beyond most Texas artists with songs recorded by the Monkees and the First Edition, Murphey locked in with a group of musicians who would be informally known as “the interchangeable band.” Bassist Bob Livingston, keyboardist Gary P. Nunn, and guitarist Leonard Arnold, who had all created reputations for themselves as creative and potent musicians with rock groups like the Sparkles and Lavender Hill Express, were able to process Murphey’s vision with a cool confidence. 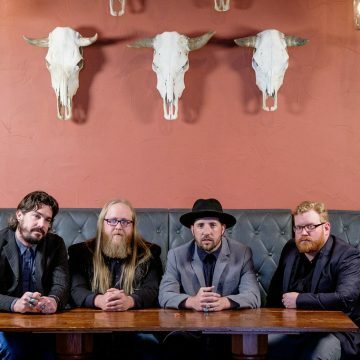 From the sparse folk rock of the title track and “Crack Up in Las Cruces” to the laidback honky-tonk of “Backslider’s Wine,” and the near Elton John-like drama of “Waking Up,” Geronimo’s Cadillac has a consistent feel of a close-knit group of musicians playing together in a room. Nunn and Livingston, both possessors of crisp, clear voices of their own, provide excellent vocal support to Murphey’s edgy tenor, while Arnold’s licks dance around the melodies, making tough and tender statements without ever detracting from the lyrics. The rustic, Western-themed cover art readies the listener for the sound inside, with Murphey in a cowboy hat and denim giving a slightly devious grin on the front and cinematic portraits of the major contributors on the inner jacket. Along with Murphey’s Geronimo’s Cadillac, 1972 also saw the release of Willis Alan Ramsey’s debut album — and to date, still his only album — on Leon Russell’s Shelter label. Ramsey may have been a character wholly out of step with the constraints of commercial music, but nearly every song on his self-titled masterpiece has been covered at one time or another by artists as diverse as the Captain and Tennille and Waylon Jennings. 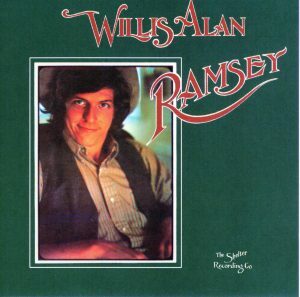 Willis Alan Ramsey also laid the groundwork for a style Lyle Lovett would hone with great success a decade and a half later. “Ballad of Spider John,” “Satin Sheets,” and the infamous “Muskrat Candlelight” are bluesy gems that allow the Alabama-born, Dallas-raised Ramsey’s Southern drawl to shine. You can just about guarantee someone in Texas tonight is singing his “Northeast Texas Women” as you read this. 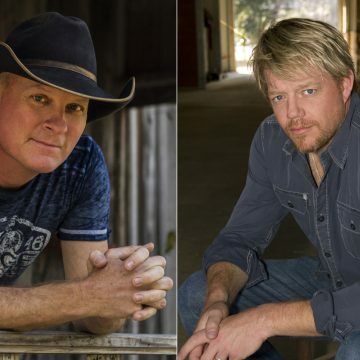 Those two albums, along with the first Texas-made record by journeyman troubadour Jerry Jeff Walker (Jerry Jeff Walker, MCA 1972), would open the floodgates of activity in the Austin scene. But it was 1973 that truly proved to be the year of the Cosmic Cowboy. That year, Murphey chased Geronimo with Cosmic Cowboy Souvenir, a slightly lesser work if only for lacking the element of surprise. 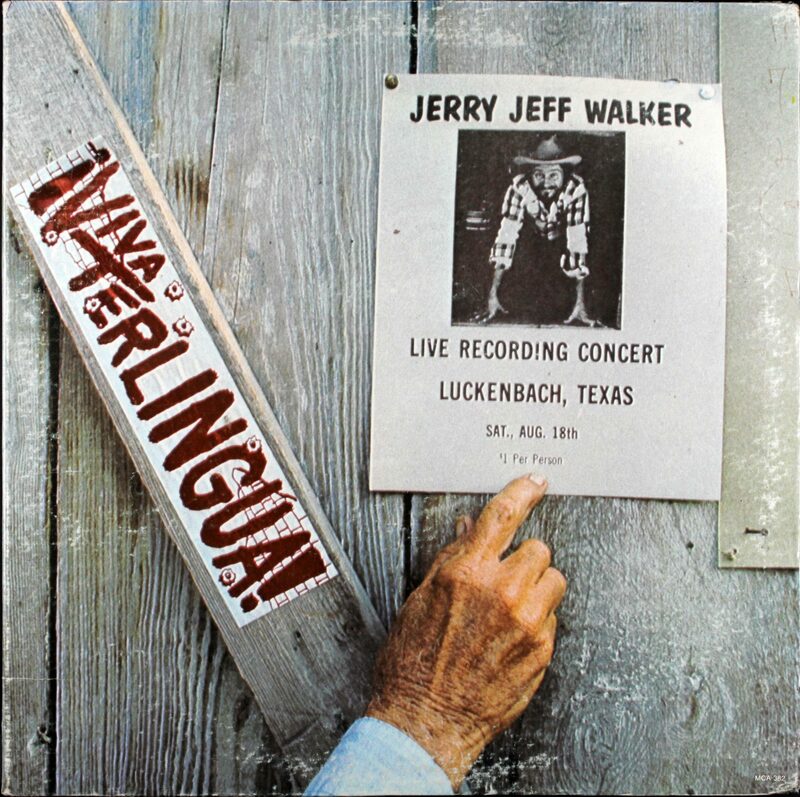 Walker, an artist sometimes criticized for taking a lowest common denominator approach to the music but who’s popularity and ability to speak to an audience cannot be denied, saw the release of his career-defining Viva Terlingua (MCA), recorded at the Luckenbach Dance Hall. 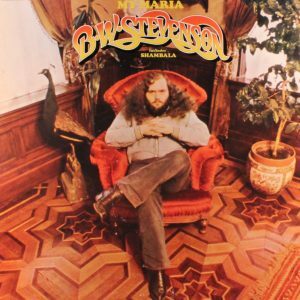 The New York transplant had already done considerable time in the freaky folk world with Circus Maximus and several solo albums on the Vanguard label, and he landed in Austin in the early ’70s with a bona fide hit song, the enduring “Mr. Bojangles,” already under his belt. But upon connecting with many of the musicians associated with Murphey (hence “the interchangeable band” tag), he struck Texas gold and became one of the burgeoning progressive country scene’s biggest draws and national stars. Viva Terlingua played a big role in that, thanks to anthems like Walker’s own “Sangria Wine” and “Gettin’ By” and the first recording of Guy Clark’s “Desperados Waiting for a Train.” But it was the album’s versions of two other songs by fellow members of the Austin scene that would make the most lasting dent: Ray Wylie Hubbard’s “Up Against the Wall, Redneck Mother” and band member Nunn’s “London Homesick Blues” (sung by Nunn himself on the LP). When TV’s Austin City Limits debuted a few years later on PBS, “London Homesick Blues” was used as the live music series’ theme song — and would remain so for nearly three decades. Meanwhile, the success of Viva Terlingua kept Walker and the whole Gonzo gang riding high through the rest of the decade. In addition to performing and recording with Walker and other notables on the Austin scene, Nunn and Livingston also found time to branch out on their own with guitarist John Inmon, saxophonist Tomas Ramirez, and fellow Viva Terlingua veterans Donny Dolan and Kelly Dunn and record two albums as the Lost Gonzo Band: 1976’s The Lost Gonzo Band and 1977’s Thrills. More artists with country leanings and hippie personas also found their careers moving forward in 1973. Dallas-raised B.W. Stevenson, with vocal chops that could go toe to toe with any of today’s American Idols, released two albums in 1973 on ABC-Dunhill, Calabasas and My Maria. Both albums modestly charted singles that gained more attention in cover versions by Three Dog Night (“Shambala”) and, much later, by Brooks and Dunn (“My Maria.”) Stevenson didn’t live to hear the later version; plagued by poor health, he died in 1988 at the early age of 38 during heart valve surgery. Another 1973 standout was Louisiana-born Bobby Bridger’s And I Wanted To Sing for the People (RCA). 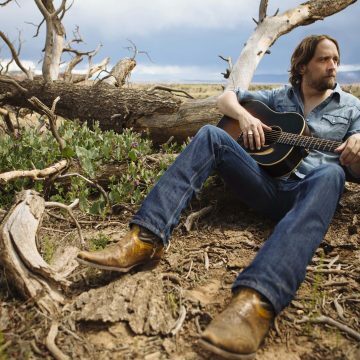 An artist with a deeper interest in history and environmentalism than commercial appeal, Bridger had flirted with mainstream country music before finding a home for his unique vision in the Austin scene. He continues to perform his cosmic music today, remaining a staple on the folk circuit and a favorite at the Kerrville Folk Festival (thanks to his festival anthem, “Heal in the Wisdom”), and has also authored books, painted, produced plays, and acted — making him a true renaissance man. While Murphey and Stevenson were getting back to their Texas roots by exploring down-home sounds and Walker was reinventing himself, former bronc-buster, sailor and used car salesman Billy Joe Shaver had more in common with the good old boys whose acceptance the hippies were beginning to see. Raised in Corsicana and Waco, Texas, Shaver came to the Cosmic Cowboy equation from the cowboy side. As an aspiring songwriter, he bounced between Texas and Nashville before finally getting a chance to record an album of his own in 1973: Old Five and Dimers Like Me (Monument). Cut in Nashville using members of Kris Kristofferson’s band, the LP is close to the Austin sound in spirit if not locale. 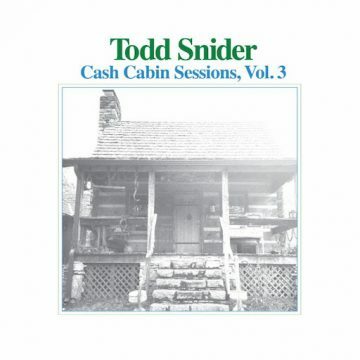 Featuring Shaver’s first recordings of such classics as the title track, “Black Rose,” and “I Been to Georgia on a Fast Train,” the album marked the beginning of a body of work that remains unrivaled in country music for its depth and soulful powers of observation of the often ragged human condition. Shaver has continued to create relevant music in every decade since his debut, particularly in the ’90s when paired with his guitarist son, Eddy, for a series of career-defining albums that defy categorization. As loaded with great material as it was, though, it wasn’t Shaver’s debut album that put him on the map as one of Texas’ greatest songwriters; for that, he needed a little help and clout from fellow Texas maverick Waylon Jennings. 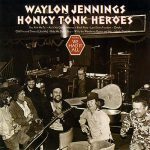 By the time things started getting interesting in Austin, Jennings (born in Littlefield, Texas) had already made a decade’s worth of albums on RCA, building a reputation as a ruggedly independent visionary. But it wasn’t until 1973’s Lonesome On’ry and Mean (RCA) that he made good on all of the promise assigned to his talent. While the string of fine albums leading up to it unabashedly identified Jennings as a leader in the country-rock world (from the country side no less), this would be his first record with nary a false note, an album that could stand beside the classic works of the Beatles and the Rolling Stones. Then later in the same year, Jennings pulled off the stellar feat of making an even better album with Honky Tonk Heroes (RCA), a hard-driving run through nine Shaver compositions (many of which appear on Shaver’s LP) and Donnie Fritts’ gorgeous Muscle Shoals soul ballad, “We Had It All.” The combination of Jennings’ rich, commanding voice, stellar band, excellent production and some of the best country songs ever written made Honky Tonk Heroes an instant classic; it stands as an absolutely essential recording in any worthwhile collection of Texas, country, and even rock music. But although the album cemented Jennings’ standing as one of the cornerstones of what the industry would later brand “Outlaw country,” he remained more of an influence on the Austin-centric Cosmic Cowboy scene than a true member — mainly because he never resided in his home state after his formative years and stint with fellow West Texan Buddy Holly. Instead, Jennings made his name as a live act in Phoenix, Ariz., before hitting the big time in Nashville. He did, however, record a live album culled from a pair of Texas shows in Dallas and at the Austin Opera House. Waylon Live, originally released in 1976 and reissued with an expanded tracklist in 2003, is a seminal portrait of one of the era’s top artists in front of its rowdiest crowd. 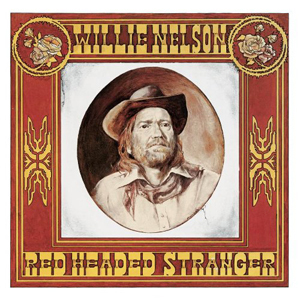 While Jennings stayed in Nashville, stoking coals of the rebel fire right under the noses of the country music status quo, prodigal Texas son Willie Nelson made himself very much at home right at the heart of the anything-goes Austin-area scene. He started playing regularly at John T. Floore’s Country Store outside of San Antonio and Austin’s famed Armadillo World Headquarters, and used his keen business sense to connect with Lone Star Beer and create an image and lifestyle that backed his stellar music. He also got into concert promotion, picking up where the Dripping Springs Reunion of 1972 left off with his first of many all-star Fourth of July Picnics. And for the first time in a career in which he had already written fistfuls of hit/classic country songs (as recorded by other artists), Nelson was signed to a label (Atlantic Records) that allowed him the freedom to get as lowdown funky and loose as he wanted. The result? 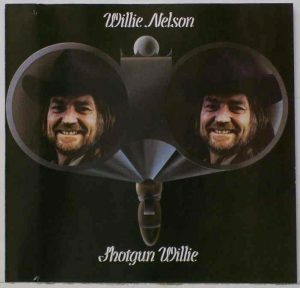 Easily the three best records ever made by the most prolific artist in American music: Shotgun Willie (1973), Phases and Stages (1974), and — after Nelson secured an even better deal with Columbia Records — Red Headed Stranger (1975). 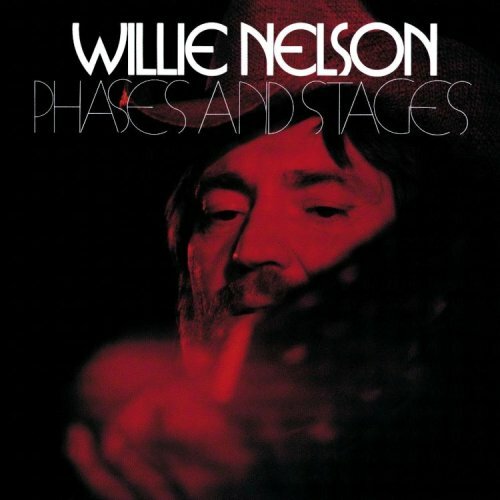 The brilliant Phases and Stages is arguably the best and most ambitious of the trilogy (telling the story of a break-up with separate sides devoted to his and hers points of view), and the sparsely recorded Red Headed Stranger proved the biggest seller; but Shotgun Willie, utilizing contributions from the likes of Doug Sahm, Augie Meyers, the Memphis Horns, Waylon Jennings and Jessi Colter, was the double-barreled blast that heralded the true arrival of Willie as the world knows and loves him today. 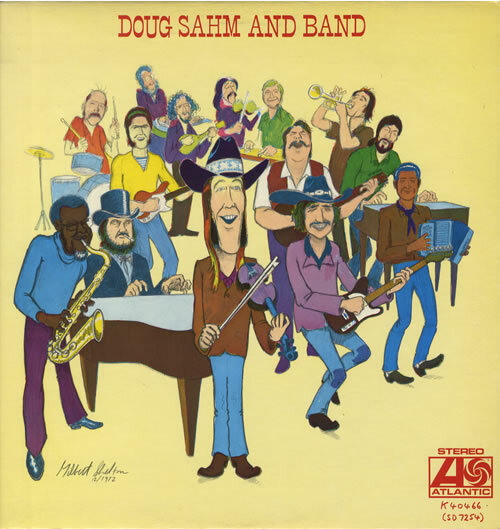 Atlantic would be a major player in the Texas scene, signing not only Willie but also rocker Doug Sahm, who’d made several genre-bending albums in California in the late-60s with his Sir Douglas Quintet. Sahm’s 1973 Atlantic debut, Doug Sahm and Band, is a loose and sloppy slide down the highway of American music; using the talents of Dr. John, David Fathead Newman, Flaco Jimenez, and a guy eager to learn from Doug’s extensive repertoire named Bob Dylan, Sahm mixes blues, jazz, Tex-Mex and especially honky-tonk into a free-flowing, good-natured groove. 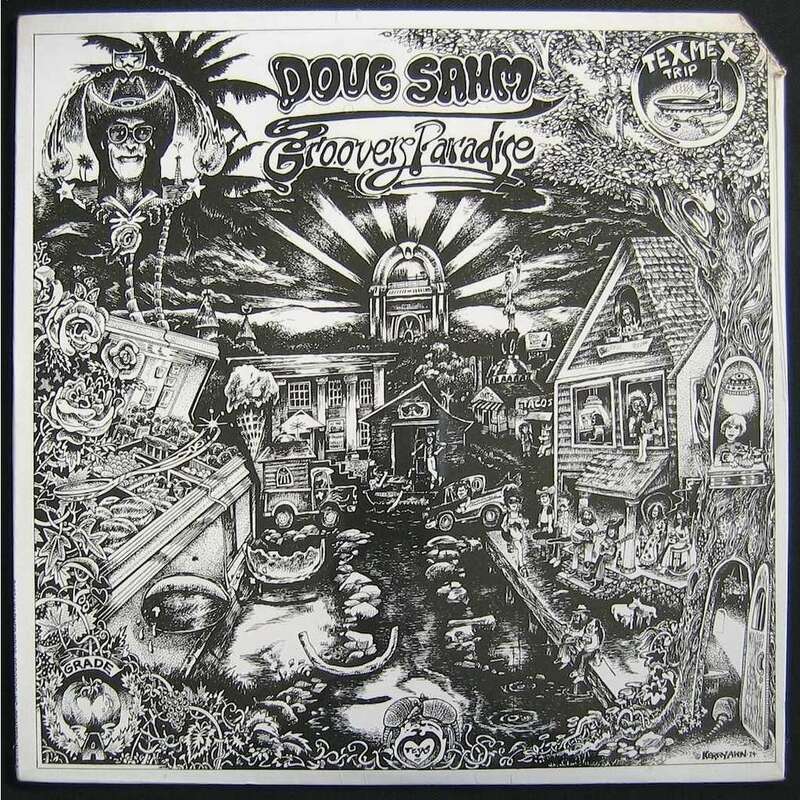 He then took the leftovers and mixed them with cool cuts recorded in California with Louie Ortega to make Texas Tornado, also released in 1973. 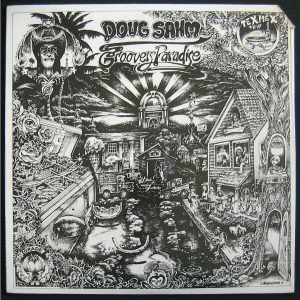 Though constantly moving through genres and locations, the image of Sahm in his Stetson leading his funky band of hippie cowboys is one of the most identifiable images of 1973 Austin. Atlantic head Jerry Wexler saw potential in another band in Austin called Freda and the Firedogs. 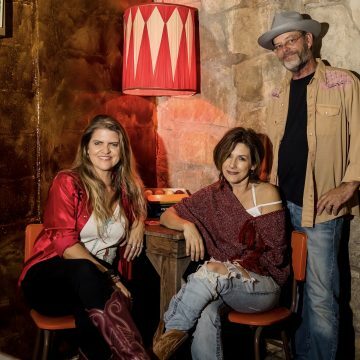 Led by a Gulf Coast piano pounder named Marcia Ball and also featuring innovative guitarist John X Reed and bassist Bobby Earl Smith, the Firedogs were the first of the hippie bands to play at Austin’s most legendary honky-tonk, the Broken Spoke. Though their Atlantic album didn’t see the light of day as expected in 1972, it is available now on CD (Freda and the Firedogs, Plug Music, 2002); for fans of Ball (now an established solo artist specializing in New Orleans-style boogie ’n’ blues), it’s a real treat to hear her playing and singing progressive country music. Along with the Firedogs, the Broken Spoke at the time also played host to more musically traditional, if no less funky, western-swing purveyors Alvin Crow and Asleep at the Wheel, who picked up on the hard living, hard-swinging style of old timers Link Davis and Jesse Ashlock to create their own sounds. The Wheel, legendary for having a more populated list of former band members than many small towns in Texas, released their first album on EMI in 1973, Comin’ Right At Ya, and would release at least an album a year for the rest of the decade. Crow would get a couple albums out on Polydor before partnering with the Broken Spoke to release several albums in the 1980s. 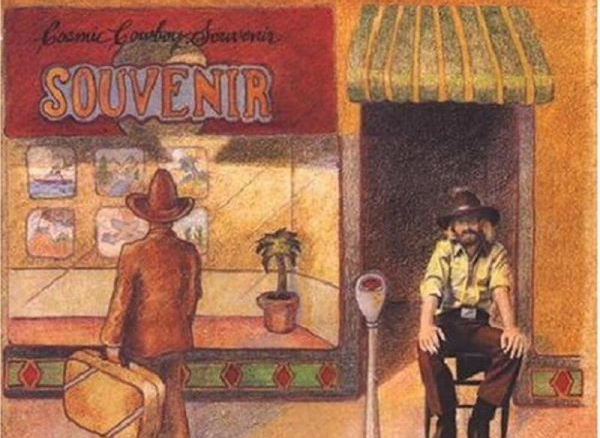 Austin’s connection to country influenced rock ’n’ roll showed no signs of slowing down beyond 1973. In addition to new platters from Sahm (Groover’s Paradise, which maybe over advertised Austin’s charms), Nelson (the aforementioned Phases and Stages), and Walker (the long-out-of print Walker’s Collectibles), 1974 also saw the release Austin-native Rusty Wier’s debut, Stoned, Slow, Rugged (ABC Dunhill). Wier had made a strong showing around town for years, heading up Lavender Hill Express and working in duos and trios with Layton DePenning and John Inmon; but as singer-songwriters with industry insider connections came to town, he watched his players jump ship to Walker and Murphey and had to wait his turn a bit longer to cross over in to the big time. 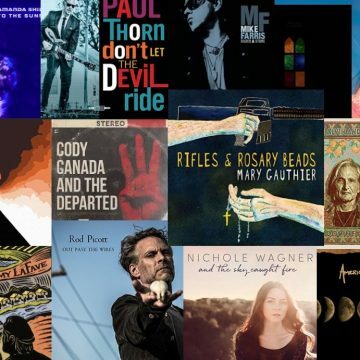 Better late than never, Stoned, Slow, Rugged is a batch of good-time Texas rock ’n’ roll featuring Wier originals along with songs by Murphey and Willis Alan Ramsey, all of them displaying Wier’s powerful voice tailor made to entertain the drinkers. Wier went on to record several more albums throughout the ’70s and up until his death in 2009, with the title track of 1975’s Don’t It Make You Want to Dance proving to be his biggest hit (especially after it was picked up by Walker and a handful of other stars, including Bonnie Raitt for the soundtrack to Urban Cowboy in 1980.) 1975 was also the year that Ray Wylie Hubbard finally got his shot at making a major-label album with his name on the cover, though he was less than thrilled with the production of the finished product. Ray Wylie Hubbard & the Cowboy Twinkies, with its vaguely illustrated cover and rope lettering, kind of sounds like it looks: not quite ready for mass public consumption. There is more than a hint of his major talent for story telling hidden in the those early grooves, but Hubbard’s best work (along with one of the most successful career reboots in Texas music history) was still a couple of decades away. Meanwhile, Waylon Jennings wasn’t the only Texas transplant bucking the system from within the heart of Nashville. 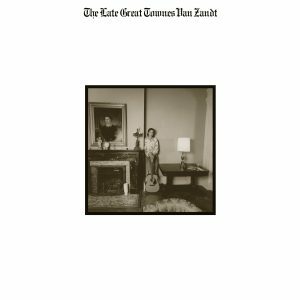 As beautifully documented in the film Heatworn Highways, shot in 1975 and ’76 and originally released in 1981, a host of formidable songwriters with progressive leanings formed a scene of their own around the nucleus of old friends Guy Clark and Townes Van Zandt. 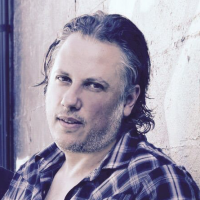 One of the regulars was Steve Young, who takes a scene-stealing turn in the film with his incredibly dynamic “Alabama Highway.” As a songwriter, Young made several major contributions to not only the Cosmic Cowboy and Outlaw country cannons, but also the California country rock scene (courtesy of the Eagles’ hit version of his song “Seven Bridges Road”). Young’s version of the song can be heard on his classic 1972 album, Seven Bridges Road (Reprise), which also features his version of “Lonesome On’ry and Mean” (a Young original made famous by Waylon the following year). Of course, a handful of Clark’s songs were pretty well known back in Texas, too, thanks to Jerry Jeff Walker’s habit of recording one or two Guy covers per album. So by the time the den leader of the Nashville mavericks pack released his own major-label debut, Old No. 1, on RCA in 1975, songs like “L.A. Freeway” and “Desperados Waiting for the Train” were already veritable greatest hits. In addition to containing several more of Clark’s finest (“Texas 1947,” “That Old Time Feeling,” “She Ain’t Goin’ Nowhere,” etc. 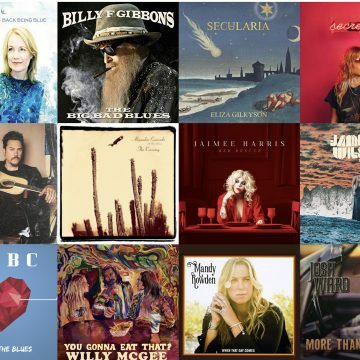 ), the album featured contributions from country soul singing star Sammi Smith, Emmylou Harris, and two young Texans who would make their marks a decade later in their own country revolution, Steve Earle and Rodney Crowell. And as for the other major star of Heartworn Highways, Van Zandt already had several records under his belt by the time things really got rolling back in Austin — including a pair of baroque folk albums cut in the late ’60s that had more in common with Leonard Cohen and Nick Drake than anything to ever come out of his native Texas. 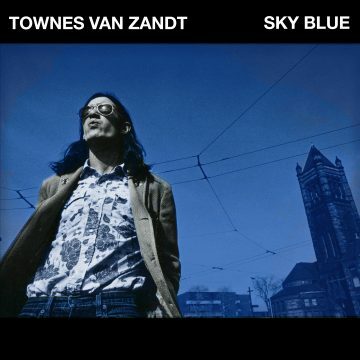 But the two albums he released in 1972, High Low and In Between and The Late Great Townes Van Zandt (both on Tomato), were a fair bit closer in spirit to the “Austin sound.” Close enough, at least, that in addition to the two most-covered songs of his career (“If I Needed You” and “Poncho & Lefty”), The Late Great also featured Van Zandt covering a pair of bona fide country classics: Hank Williams’ “Honky Tonkin’” and Lawton Williams’ “Fräulein.” Most likely every Cosmic Cowboy in Texas and beyond had an 8-track copy of that album in their pick up truck … or at least they should have. What do you get when you combine the best singers and players in the burgeoning Outlaw scene with possibly the greatest songwriter in country music? An album that redefines the possibility of honky-tonk and continues to this day to be one of the most influential recordings in American roots music. Waylon’s take on Billy Joe Shaver’s songs is more confident and direct than the cowboy poet’s own sometimes vulnerable treatments. Bassists Joe Allen and Bee Spears lock in with drummer Richie Albright to push the acoustic-guitar laden tracks with a drive never before heard in mainstream country, and steel guitarist Ralph Mooney colors the songs with taste and tone. This is Jennings at the top of his game and most likely the type of album many a Cosmic Cowboy aspired to. 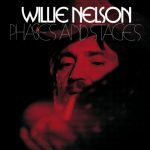 Though he broke through all Nashville country conventions with 1973’s Shotgun Willie, and achieved true national stardom with 1975’s Red Headed Stranger, it was with Phases and Stages that things all came together for Willie as writer, singer and guitarist. Nelson expertly puts all of his skills and his Muscle Shoals backing musicians to their best use on this timeless song cycle, a travelogue through a relationship in demise. 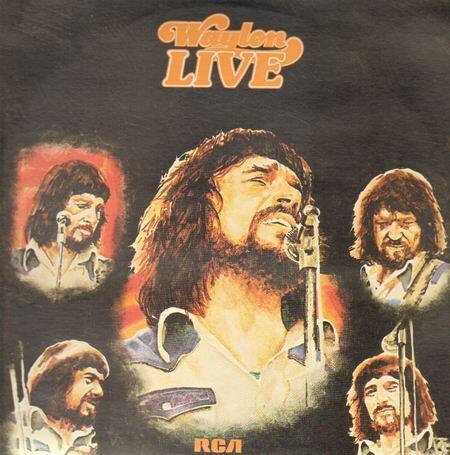 Highlights include the lightening speed “Bloody Mary Morning,” the rocking “Pretend I Never Happened,” and the sad, slow “I Still Can’t Believe that You’re Gone.” Four of the album’s songs were also recorded by Waylon Jennings for his own 1974 record, This Time. 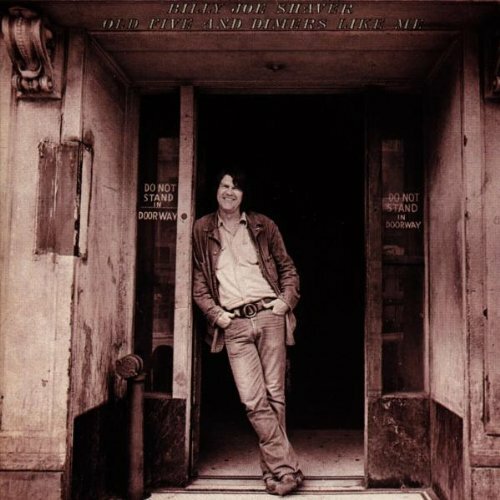 Old Five and Dimers Like Me featured songwriter Billy Joe Shaver’s own versions of many of the songs Jennings immortalized on the same year’s Honky Tonk Heroes. Where Jennings and his powerhouse band rendered Shaver’s tunes with rock star confidence, the recordings here are understated and folky, with Shaver’s voice still in its fledgling state as an instrument. But none of that makes the songs any less powerful, and Shaver’s debut album still holds up as one of the most endearing in his long and colorful career. In addition to the enduring “I Been to Georgia on a Fast Train,” other standouts include the Jimmie Rodgers-esque “Bottom Dollar” and “L.A. Turnaround,” a bracing ode to amphetamines. Doubtless you already have Jerry Jeff Walker’s wildly popular Viva Terlingua, so I’m giving this spot to a more under-the-radar wild card. 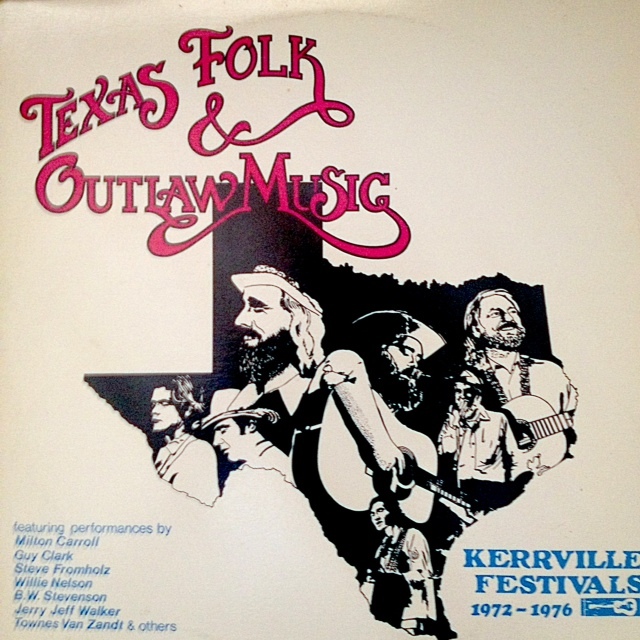 This double LP, pulled together from performances at the famous Kerrville Folk Festival during its early years, includes not only big timers like Nelson, Walker, Guy Clark, and Townes Van Zandt, but also great tracks by Bill and Bonnie Hearne (doing Gary P. Nunn’s “Last Thing I Needed”), Rick Stein, Augie Meyers, and Steve Fromholz. The musician credits deserve a close looking over, too, as you will see a who’s who of country rockers, ranging from most of the Gonzos and Willie associates to a young Steve Earle (playing bass with Clark.) The compilation also has the distinction of being the first album this Mr. Record Man ever bought with his own money.